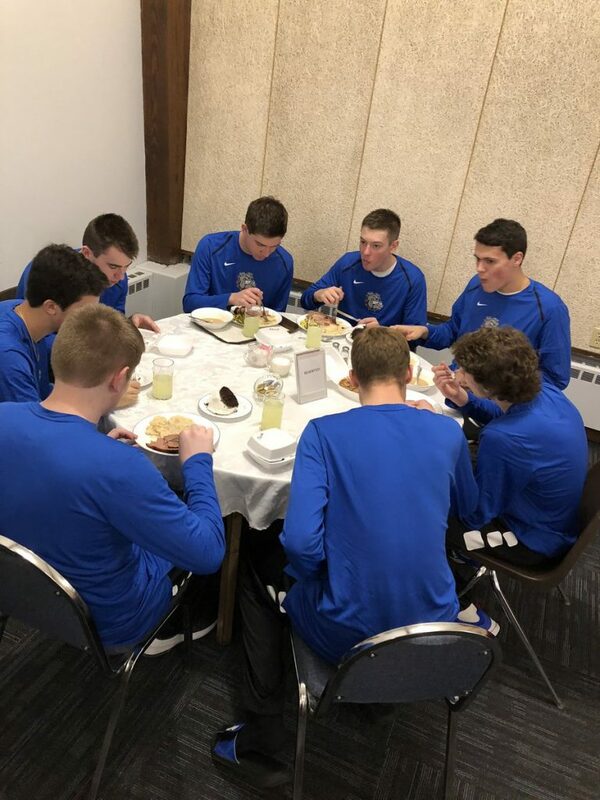 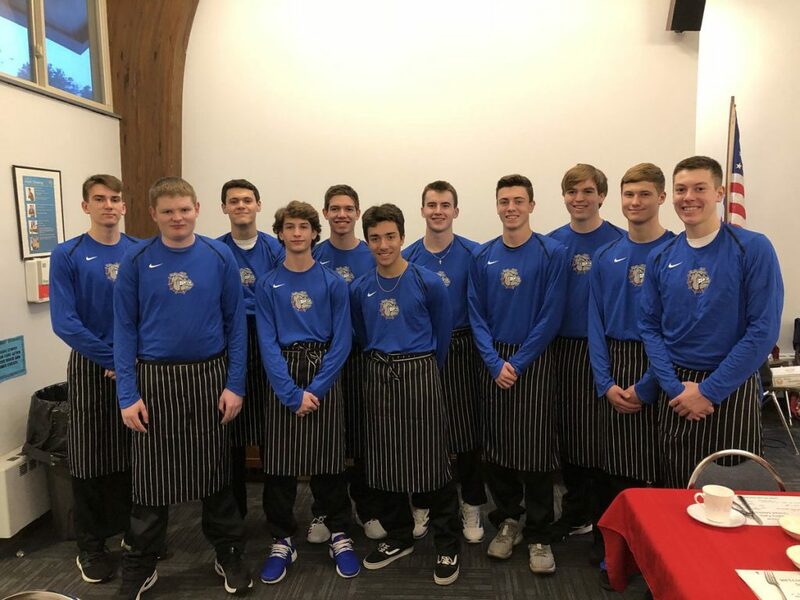 Our boys varsity basketball team had 11 players go to the United Methodist Church to assist with the church’s monthly fundraiser. 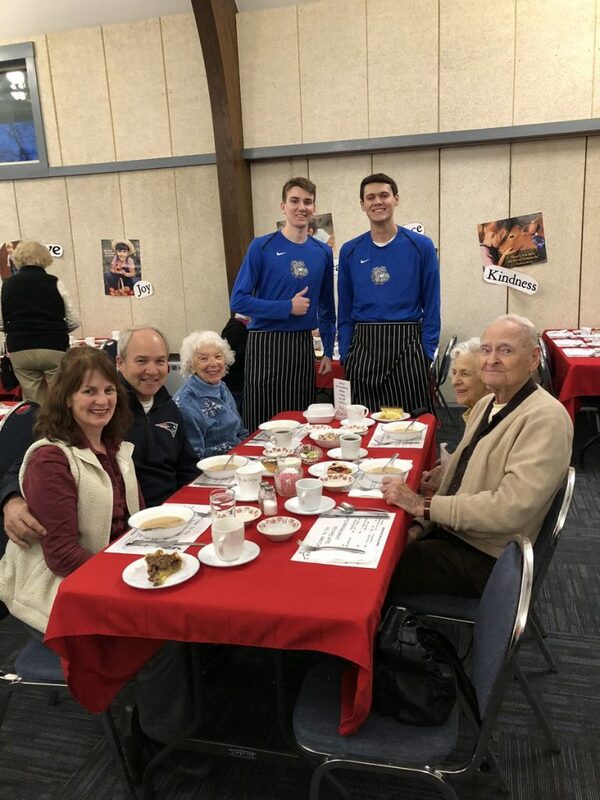 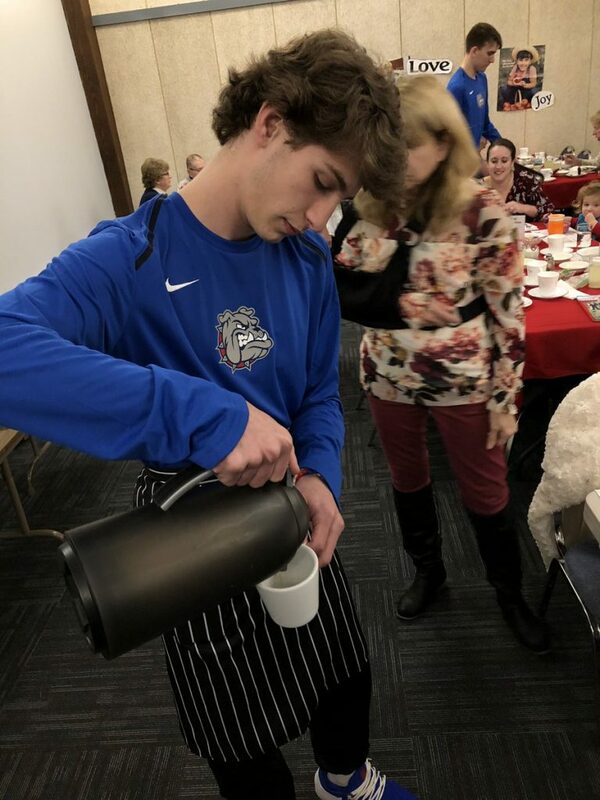 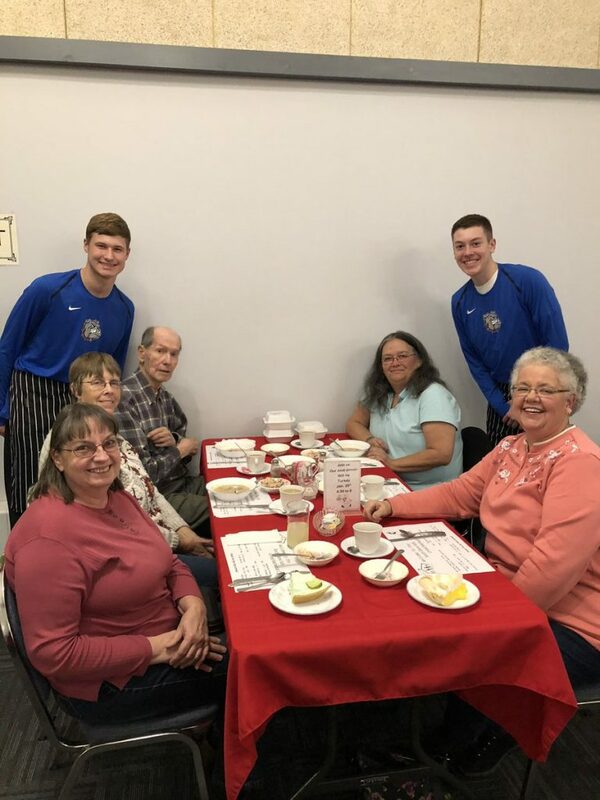 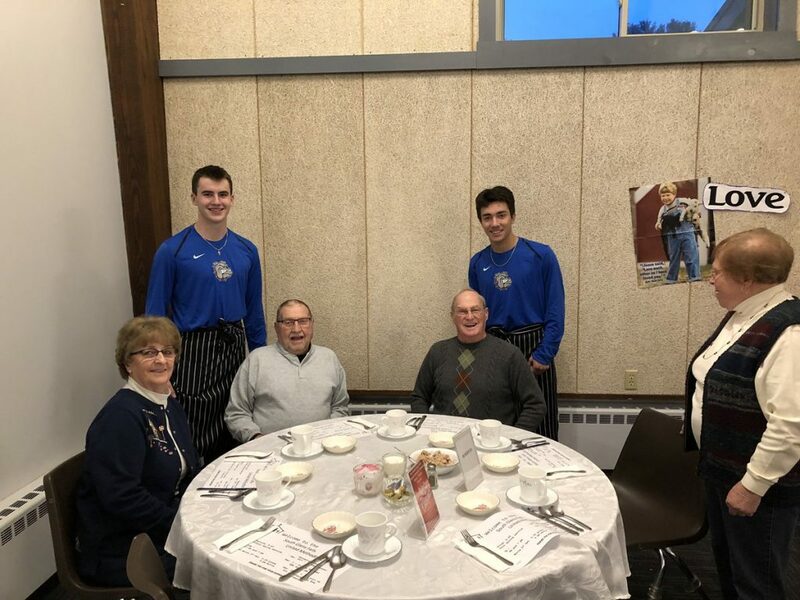 Our boys provided service for 2 hours as waiters/bussers and assisted mostly with senior citizens. 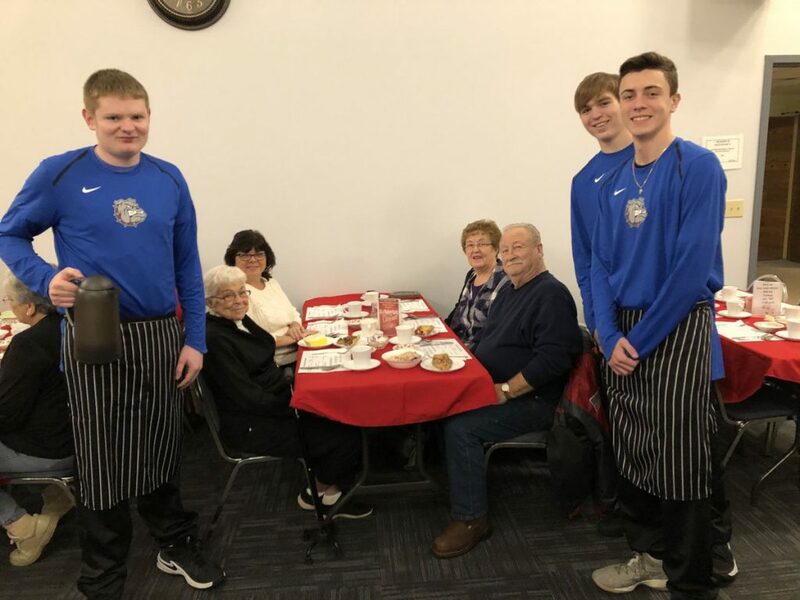 Our team felt it was important to give back to the community and provide service for a local establishment.